Can you relate to any of these? Are you interested in keeping your skills fresh and up to date? Do you want to meet and network with thousands of like-minded outdoor trainees and leaders? Did you do a training course years ago and want to get back into the outdoors? Do you need some extra training before you go for your assessment? Not sure how to use your qualifications now that you have them? If you answered yes to any of the above, consider joining the Mountain Training Association to get support for the rest of your outdoor career. 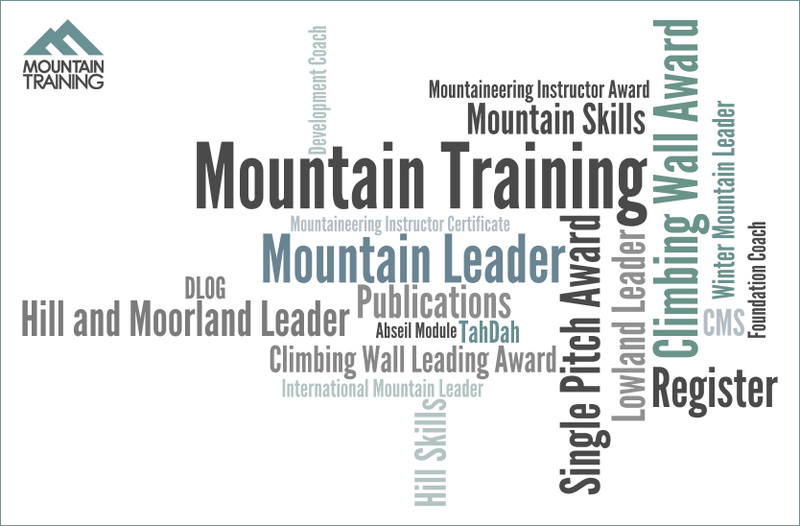 The Mountain Training Association is the support and development branch of Mountain Training (the organisation you register with when you embark on a scheme). Anyone who is registered on a Mountain Training qualification scheme can join the Mountain Training Association (it’s not compulsory) and members get access to a whole range of supportive benefits, for just £36 a year. Want to succeed? 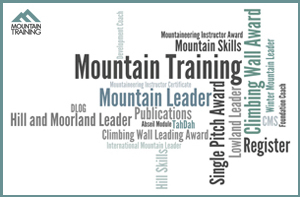 Developing yourself is a really important part of the Mountain Training Association, regardless of which stage you’re at with any of Mountain Training’s qualifications, so it’s no surprise that the workshops and conferences it coordinates are popular with members. They’re all about enabling people to excel and be professional in their approach to becoming, or being, qualified. Workshops are great for people consolidating skills between training and assessment, as well as for people who have a qualification and want to excel. Only Mountain Training approved course directors can deliver course-specific workshops or refreshers and other workshops are delivered by specialists in a particular field. This means members are always getting up to date training from the experts. Workshops take place all over the UK and cover all sorts of topics, from upland plants and navigation in the mountains to coaching climbing and learning to route set; there’s something for everyone. The majority of workshops are open to all members and some require you to be trained or qualified in a particular scheme. The Mountain Training Association has members all over the UK and there are 15 regional groups, each with a regional coordinator, who organise additional learning opportunities and social events. The events are always low cost or free and often peer-led to make the most of the skills within each region. Regional groups are a great way to find people who want to practice the same skills as you. So if you’re working towards an assessment, you don’t need to do it alone. The Professional Mountaineer is a joint association magazine. Articles are written by, and for, members of the Mountain Training Association (MTA), Association of Mountaineering Instructors (AMI), British Association of International Mountain Leaders (BAIML) and British Mountain Guides (BMG). It’s a quarterly magazine with articles on destinations, technical skills, our planet, guidance and business sense as well as book and gear reviews. The magazine is a great resource and opportunity to learn from and contribute to the wider community. Find out more about the magazine and view sample articles. Unsurprisingly perhaps, given the importance of the personal development programme, the ability to record continued personal development (CPD) on the candidate management system is also highly prized and is something that only association members can do. Full members (those with a qualification) commit to gaining two CPD points, which roughly equates to two days, in a five year period. These points can come from workshops, conferences, many regional events or from another accredited source such as an employer, Mountain Rescue or the Scout Association, for example. 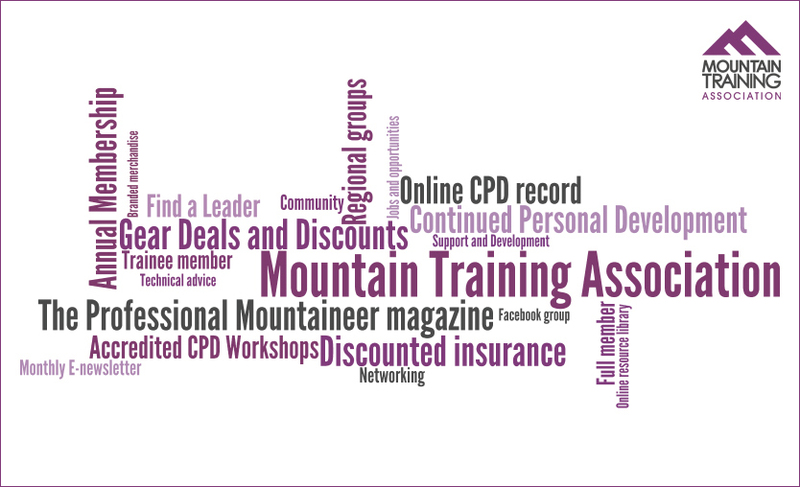 Members of the Mountain Training Association can share their CPD record with employers or make it public. Everyone loves a good deal and the Mountain Training Association has negotiated some great deals for members. Big names such as Cotswold Outdoor, Sherpa Adventure Gear, Montane, Joe Brown Shops, Viewranger and Terra Nova all support the association by offering discounts for members. So whether it’s t-shirts, tents or trainers you need, paying full price is a thing of the past. The MTA is committed to fostering progression and encouraging good practice. We've teamed up with EduCare, experts in safeguarding and duty of care, to offer members access to the EduCare for Sport® package of safeguarding training courses at the exclusive discounted rate of £25 (normal price £75) plus VAT. This offering now includes additional modules in mental wellbeing and GDPR. Technical advice – got a question about a technical aspect of leadership? Members have access to advice from Mountain Training’s technical staff team through a ‘Technical Question’ email service. 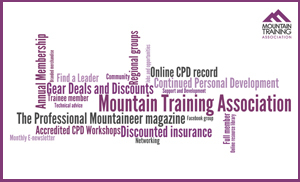 Insurance – the Mountain Training Association has a specially negotiated rate for civil liability insurance which is available to full members. Members-only resource area - access articles, interviews and teaching aids to support you in your role or as you develop. Monthly newsletters – stay in the loop with what’s going on in the association through a monthly newsletter. Find a Leader – write a short profile and list yourself and your qualifications in a public search facility. Regional meets and events – get together with people from your region to share skills or attend an event in a different region if you’re away from home. Mountain Training and the Mountain Training Association - what's the difference?